Lentil salad is perfect for a quick, filling lunch, or even as a light summer dinner. It is healthy and full of protein. 1 bag of dried lentils, about 16 oz. In a large pot, cover the lentils with an ample amount of water and bring to a boil. Add salt and pepper. Once the lentils have boiled, reduce heat to a simmer and let sit for 45 minutes. About 15 minutes before the lentils being done, saute onion and garlic in 2 tablespoons of olive oil until soft. Keep on low until lentils are finished cooking. 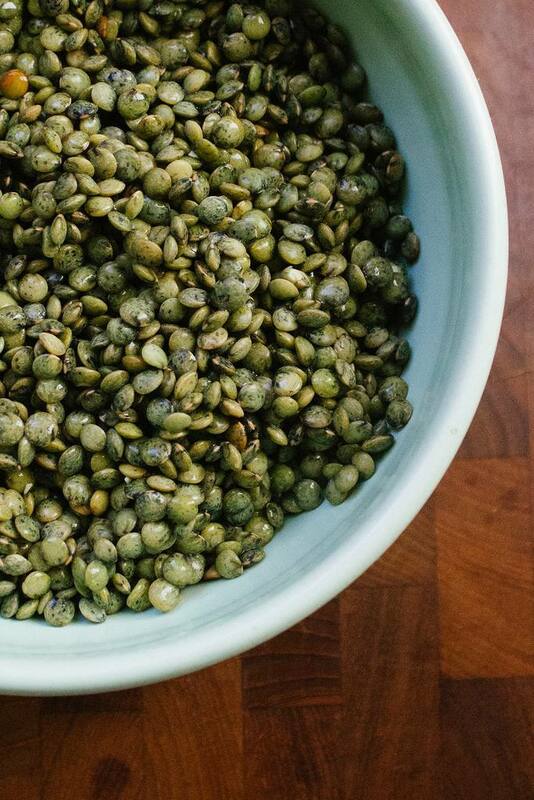 Once lentils are done, drain excess water and allow to sit uncovered for 5 minutes to cool. Add onions and garlic and combine well. Be careful not to crush the lentils! Add olive oil, lemon juice, and parsley. Serve immediately or allow to chill and serve. Great the next day also!